Let’s start by letting me ask you, how do you pronounce your last name? 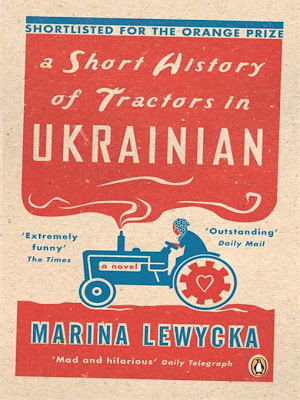 A Short History of Tractors in Ukrainian was a worldwide hit - so your fiction career has really taken off when many people are considering retirement. How did your career develop - did writing non-fiction for Age Concern co-exist with your fiction writing in earlier life? It’s my first published book. I’ve always been writing, ever since I was a child. Poetry was my first love but I also wrote plays and stories, and two complete novels. They were rather serious books with big issues. I had lots of rejections. Tractors was very different, and I really never thought it would be published - why would they publish this funny, silly book? But they did. I was 57 when it was accepted and 59 when the book came out. It’s nice to be starting a new career at 60! Would you recommend going to creative writing school to other aspiring authors and why? Many people – myself included – scribble away in private, because revealing your secret thoughts and not-fully-developed talent to a cynical world is embarrassing. However friends and family are useless as critics – they will always say it’s wonderful, either because they think everything you do is wonderful, or because they love you, and want to spare your feelings. So the protective environment of a writing course is a good place to start showing other people your work. You can also learn a lot from reading other people’s efforts; you may privately think that Ms X’s story is a load of semi-pornographic drivel, but of course you won’t say that – you’ll find a constructive way of voicing your criticism. And there will be a lesson in there somewhere for you. You have said that Tractors is to great extent autobiographical and was something you had in mind to write for many years. How long did it take you to actually write, once you started? Yes it’s not all pulled out of the blue. Many of the events started in autobiography, but as the characters took on a life of their own, they became distinct. I started writing it because I wanted to know more about the story of my family. 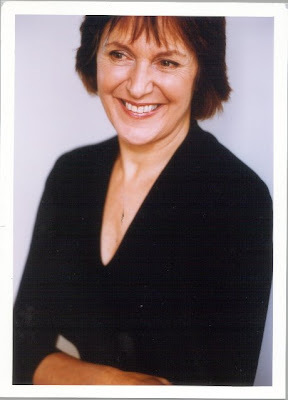 I had recorded tapes with my mother, but after she died I realised there was not enough material there for a novel. My father could fill in some bits, but there were still gaps. That’s when realised I would have to create a fiction instead of a memoir. It was very liberating. Once you realise you can make some things up, you can make anything up. Once I got going, it took me about six years to write, fitting it in around a part-time job. Aspiring authors are often told how critical selecting a “good” title is. How and why did you select “A Short History of Tractors in Ukrainian?” Did it meet any unexpected responses? People often ask where the title came from. My father did write a history of tractors but his book is very different and technical. Unfortunately, when the book came out, some on-line stores filed it under ‘Agricultural History’. Your characters include some who are clearly stereotypes. Why did you make that deliberate choice in selecting some of your characters? Well, people are often a bit sniffy about stereotypes, but actually I think it helps the reader if the characters seem familiar – it makes it easier for them to colour in the detail, and saves time, and pages and pages of back story if the characters resemble people they know. Ian McEwan wouldn’t do that, but I’m not Ian McEwan, I’m known as a writer of comic fiction. You dedicated Two Caravans to the memory of the Morecambe Bay cockle pickers. Do you deliberately use comedy to reveal political/economic criticism of the poor pay and conditions of foreign workers or animal cruelty? Yes, it’s really a look at some of the darker aspects of life in Britain today, but told with a humour, so people don’t immediately put it down. Some of the characters do get lost to prostitution; there are gang masters, slavery, exploitation. But my aim is not so much to raise social and political issues as to give readers an opportunity to see the world through someone else’s eyes. About the episodes of animal cruelty in Two Caravans - how did you research that? How did you feel about it? I didn’t set out to write that, and I was shocked to discover how chickens are produced, but once I knew what went on, I couldn’t not put it in the book. I do feel very angry about it. But someone else did all the hard work. Felicity Lawrence of the Guardian went to the chicken farms and did all that first-hand research (you can read more about it in her wonderful book Not on the Label) She researched all the scams, and the way both the chickens and the workers are abused. All I did was buy her lunch! I also got help from an organisation called Compassion in World Farming, who sent me a video that had been secretly recorded. But I read a lot online as well. The worst abuses in the book were based on court cases of people who were prosecuted for doing those things. Care homes and the aged feature in Tractors, Two Caravans and your upcoming third novel, We are All Made of Glue. How is ageing and how society deals with it a concern for you? I owe much to my work with Age Concern England. I spent a lot of time with wonderfully stubborn, cussed and eccentric old people, trying to squeeze the last few drops of pleasure out of life, and their desperate families who want them to grow old gracefully. We can learn a lot from the old – but too often we patronise them and shut them away. Did you grow up multi-lingual? How does your background affect your use of language in your writing? Was it difficult inventing the “English-Ukrainian mish-mash” or Malawi-English spoken by your characters, who use fractured syntax and elaborate combinations of expressions? I spoke Ukrainian at home, and only learnt English when I went to school. I also spent a few years teaching English as a Second Language, and I got quite an ear for all the different varieties of ‘bad English’. I’m always fascinated by the way people speak, and can often be spotted eavesdropping in public places. Do you think this “world-English” is the future of the English language? English is a wonderful language, because it’s very easy to learn, but everybody adapts it to their own way of speaking and patterns of grammar. I think ‘world-English' is not just the future of the English language, but is also the future language of the world. It’s happening already. Part Two of Marina's interview will continue on Friday, followed by a review of her latest book out July 2, We are all Made of Glue . Fascinating interview. 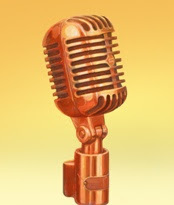 I'm happy to have found this quality blog and I'll be sure to come back again and again. Hi Ann - glad you enjoyed it - part 2 on Friday!